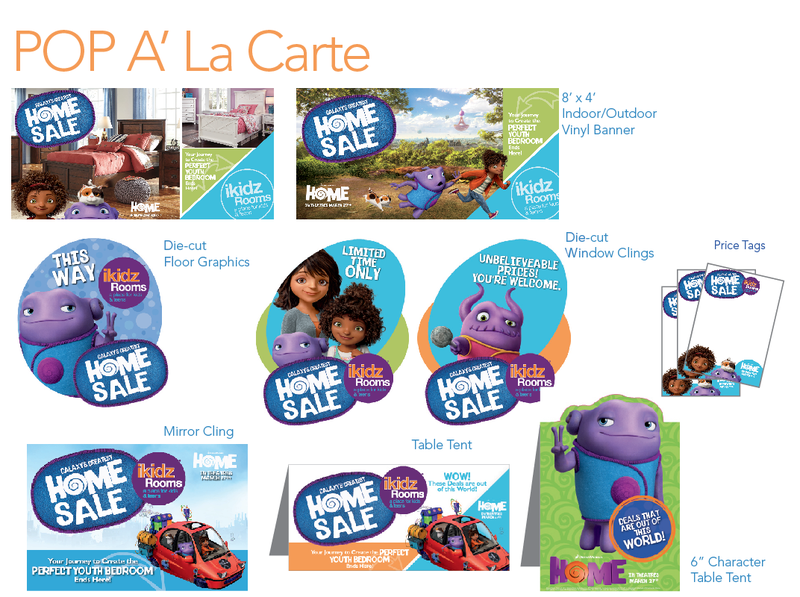 HIGH POINT — Retailers of Ashley Furniture Inds.’ iKidz Rooms can participate in a cross-promotion tied to “Home,” a DreamWorks Animation film to be released March 27. The promotion, called “The Galaxy’s Greatest Home Sale,” runs Feb. 27-April 30. Dealers have until Jan. 13 to sign up. "Home” revolves around a human-alien relationship that develops during “the road trip of a lifetime” after Earth is conquered by the Boov, an alien race in search of a new home, according to a summary at the Internet Movie Database. Flora Stopher is the owner of Imagine Advertising, the Norcross, Ga.-based firm that will provide all marketing and advertising materials for the promotion and will execute what she calls “an omni-channel marketing strategy” in print and online. Retailers participating in the promotion can distribute tickets to pre-screenings. They can offer customers such gift-with-purchase items as “Home”-themed plushies and lunch boxes. They’ll also be able to cross-promote with other “Home” movie sponsors in their local marketplaces. The cross-promotion tied to “Home” will aim to generate the kind of traffic that will lead to increases in business at dealers of iKidz Rooms. The same intention fueled Ashley’s participation in a similar, Imagine Advertising-coordinated youth bedroom promotion tied to Sony’s “The Smurfs 2” in summer 2013. Funnyman Steve Martin voices the captain in this hilarious mini-movie, and you can really get a feel for what the movie will be like! 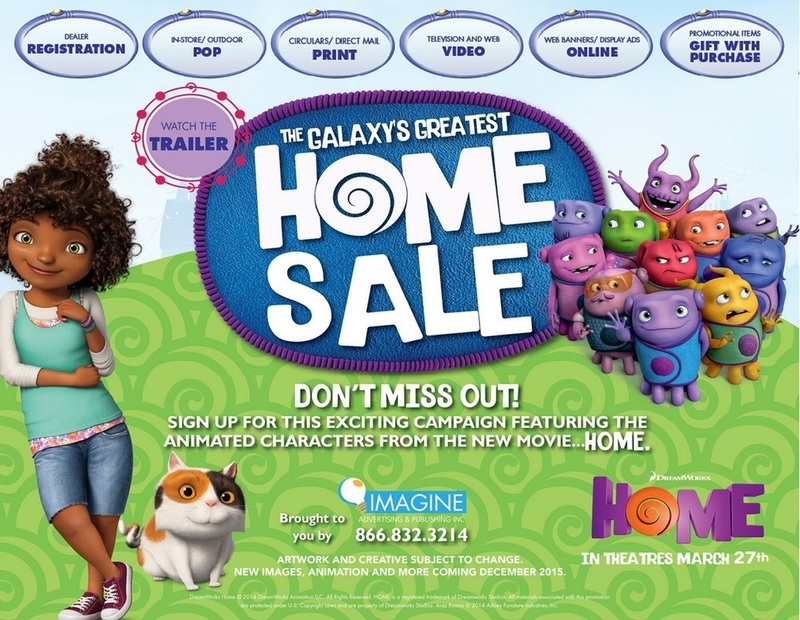 Home will also feature the voice talent of "Big Bang Theory" actor Jim Parsons. Rihanna will also be starring as a human named Tip. Jennifer Lopez has also been announced to voice in a yet unknown role. Rihanna will also create a concept album based on the animated film. DreamWorks Animation chief Jeffrey Katzenberg announced the news during the company’s earnings conference last month. She will also perform new songs in the movie.